Maria Martinez is Executive Vice President and Chief Customer Experience Officer at Cisco.As a member of the executive leadership team, Martinez oversees Cisco's $12.5B Services and Customer Success organizations that are responsible for helping customers transform their businesses through Cisco's broad portfolio of software, subscription and services offerings.Under her leadership, Martinez is also helping to drive Cisco's overall sales and go-to-market transformation to deliver greater business outcomes for customers as they transform their businesses. Martinez brings more than 35 years of leadership experience from a variety of technology sectors including software, services, networking technology and hardware to Cisco.Most recently, she served as President, Customer Success Group and Success Cloud, as well as General Manager for Latin America at Salesforce. In these roles, she was responsible for keeping Salesforce's 100,000-plus customers across the globe happy, including the on-boarding, product usage, best practices, training, customer support, professional services, partner certification, and developing long-term relationships, while also looking after the firm's operations in the emerging Latin America region. Prior to joining Salesforce, Martinez managed Microsoft's global services business, including professional services and customer support for all products. During her six-year tenure, she led the business to outperform revenue targets and to significantly increase Microsoft's customer satisfaction rating.Martinez has held a number of other leadership positions at Motorola and AT&T. She also served as the CEO of Embrace Networks where she led the development of the start-up's technical strategy, launched its first software platform and developed its customer base. Martinez serves on the boards of directors for Genesys Works and Declara, Inc.Martinez has received several distinctions for her leadership, most recently being ranked No. 6 on Fortune magazine's list of the 50 Most PowerfulLatinas. 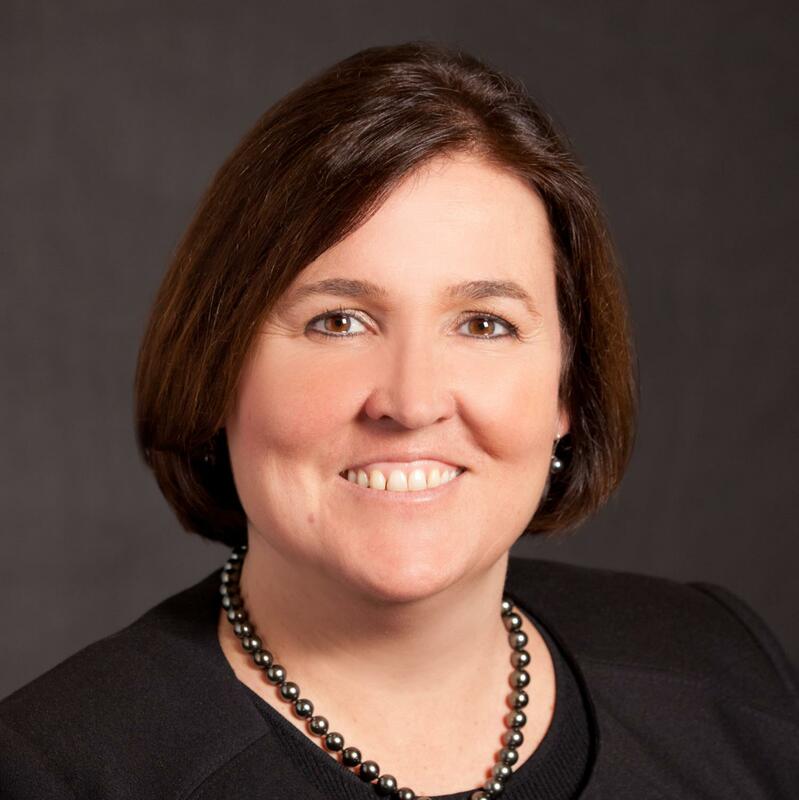 Kelly Kramer is Executive Vice President and Chief Financial Officer (CFO) at Cisco, managing the financial strategy, and mergers and acquisitions for the company with total revenue for fiscal year 2018 of $49.3 billion and more than 75,000 employees. In addition, she oversees Cisco's Corporate Development and Integration organization. Kramer is committed to maximizing long-term shareholder value, ensuring a balanced portfolio of growth initiatives, and maintaining the high level of integrity and transparency for which Cisco is known. Before being named CFO in 2015, Kramer was Senior Vice President of Business Technology and Operations Finance, partnering with the Development organization across business groups, segments, and operations on strategic long-range planning, budgeting, and forecasting new-offer development, as well as the analysis and strategy of product pricing. In addition, her organization managed finance for the company's supply chain, marketing, corporate communications, operations, HR, and IT groups. 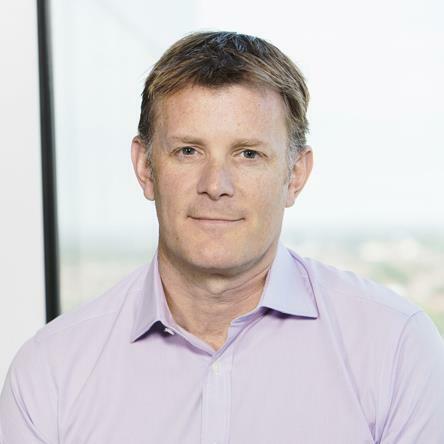 Kramer joined Cisco in 2012 as Senior Vice President of Corporate Finance. Prior to Cisco, she was Vice President and Chief Financial Officer of GE Healthcare's Healthcare Systems business. During her 20 years with General Electric, she held other CFO roles including CFO of GE Healthcare Biosciences, a division in Life Sciences and Molecular Diagnostics. She also worked in GE's corporate headquarters, and Transportation Systems and Aerospace divisions. Kramer has extensive experience in financialplanning and analysis, profit-and-loss leadership, and mergers and acquisitions. Kramer serves on the board of directors and chairs the Audit Committee for Gilead Sciences. She is also a member of the board of directors for the Silicon Valley Chapter of City Year. Kramer holds a bachelor of science degree in mathematics from Purdue University and received the Purdue University College of Science Distinguished Alumni award in 2017. Francine Katsoudasis Executive Vice President and Chief People Officer of Cisco. She plays a major role in the company's overall performance, leading organizational strategy, promoting operational effectiveness, and elevating team performance through innovative leadership. 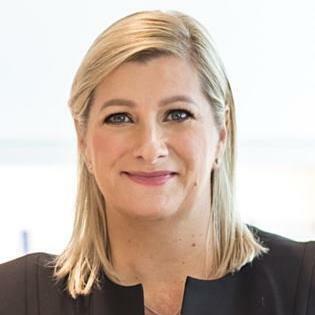 She leads Cisco's business-driven People Strategy and People Deal, both of which support and align to Cisco's overall business strategy and are essential to driving the Company's transformational journey. She also is evolving Cisco's approach to strategicworkforce planning with programs highlighting the skills and capabilities that employees need to be innovative in today's technology driven environment. She fosters a culture of full spectrum participation, emphasizing inclusion and collaboration to driveexponential business value. 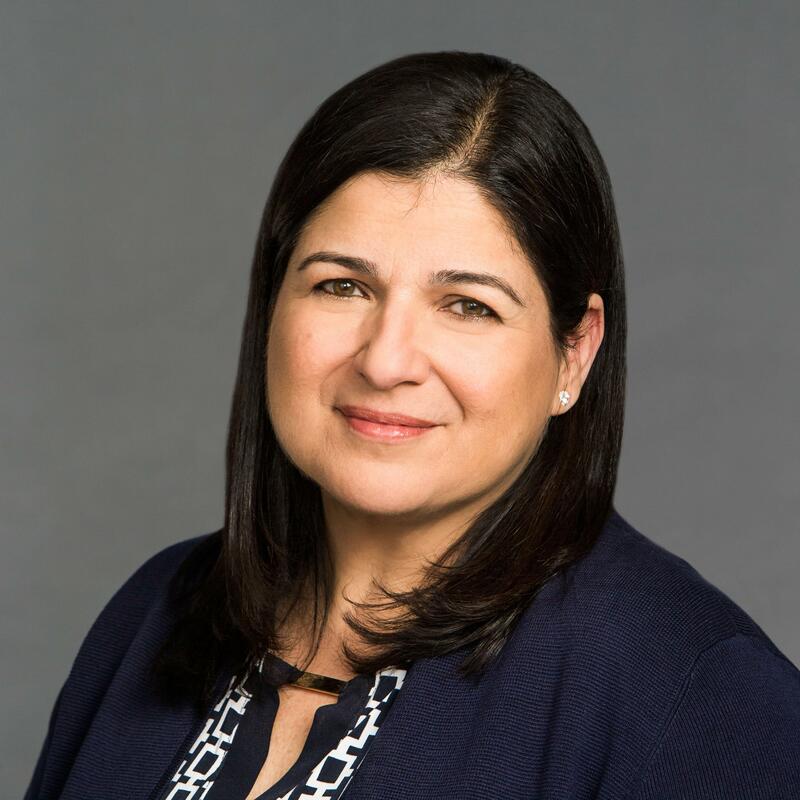 A 20-year veteran of Cisco, Katsoudas has extensive experience leading organizational transformations, driving large scale growth, talent acquisition, leadership development, and succession planning. Prior to her current role,she was the HR leader and business partner to the Engineering leadership team helping oversee its workforce of more than 25,000 people. She has also held leadership positions in the Service Provider, HR Operations, Customer Service, Acquisition Integration and Services groups. Fran is a member of the Children's Discovery Museum Board. Shanthi Iyer is Vice President of the Data & Analytics group within Cisco’s Operations organization. Cisco’s Data & Analytics team drives the enterprise-wide data and analytics strategy, governance and policy framework, prioritizing and accelerating critical data-related activities to enhance company decision-making and execution through fact-based insights and intelligence, data science and data-driven analytics. The team also provides data and insights as a service for Cisco. 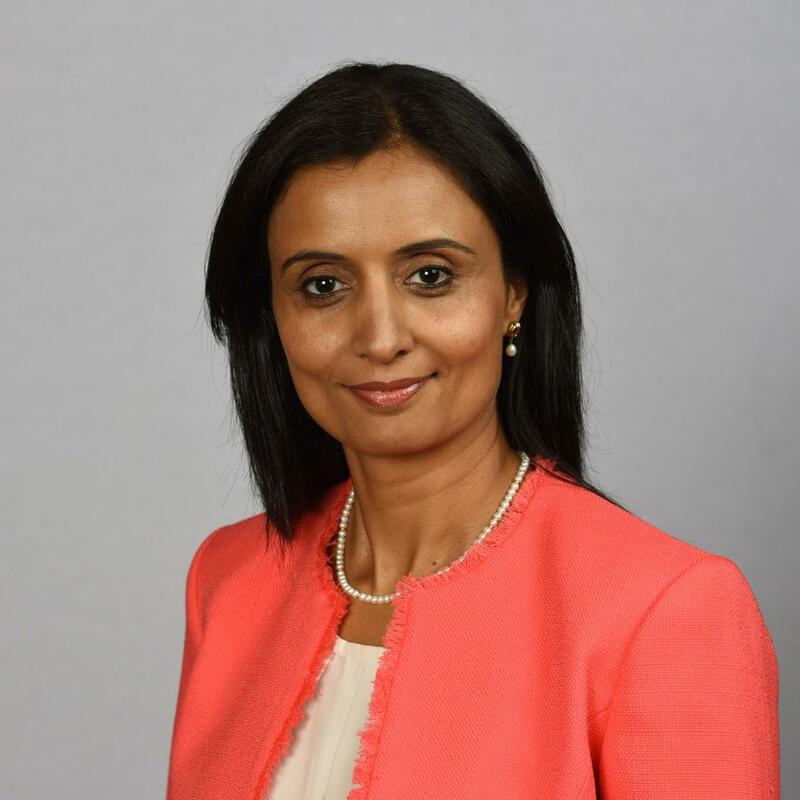 Prior to her current role, Shanthi drove Enterprise Data, Security and Services, supporting business transformation by accelerating the next-generation analytics and technology platforms required by Cisco business.Previously, she led the Supply Chain Transformation program for Cisco's $47 billion transactional fulfillment platform, implementing industry standard platforms and business processes and enabling new fulfillment models for Cisco. A 23-year technology industry veteran, Shanthi started at Cisco in 1997 as an Oracle DBA. She has worked across Cisco, driving results and being disruptive in Infrastructure, Cisco Services, Commerce, Sales and Supply Chain. Prior to Cisco, Shanthi worked at Applied Materials in Santa Clara and MashreqBank in Dubai. 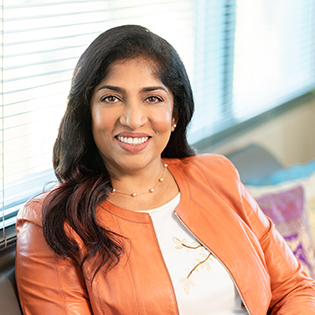 Shanthi has been recognized by the Silicon Valley YWCA Tribute to Women and received multiple leadership awards from the Stevie Awards for Women in Business. She also actively participates in India Connection and Women in Technology Action Network, which are Cisco organizations that are focused on career, leadership and personal mentoring, and networking. Shanthi holds a B.S. in Math from the University of Madras and a diploma in Computer Science from the National Institute of Information Technology in Chennai. She alsocompleted MIT’s Supply Chain Leadership Program and the Executive Data Science Program from Northwestern University. 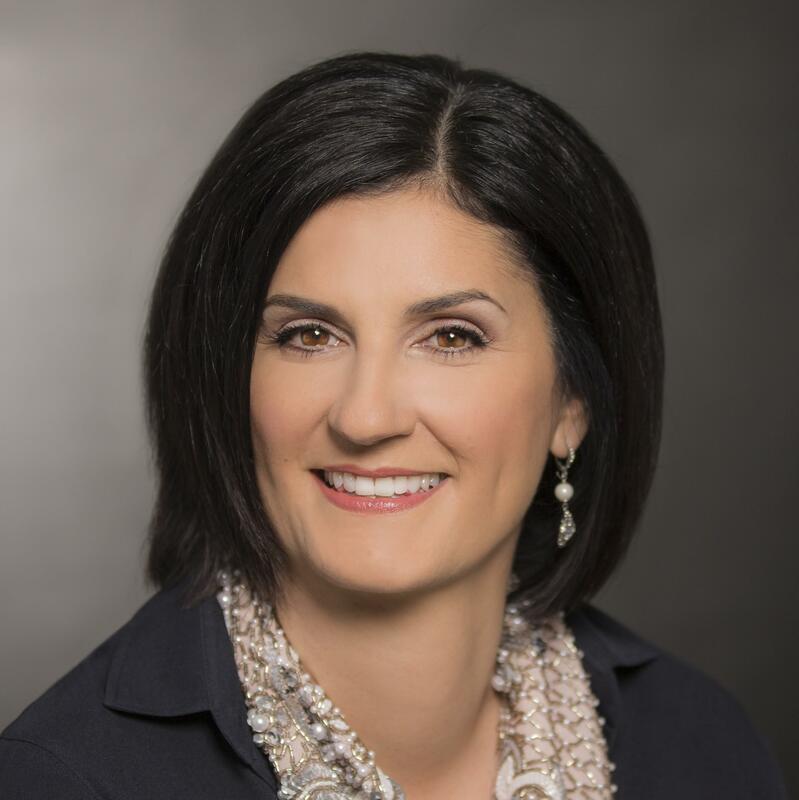 As Cisco’s first-ever EVP and Chief Sales and Marketing Officer, Gerri Elliott is responsible for worldwide sales and marketing, field operations, and partnerships across the globe. As a leader at IBM, Microsoft and Juniper Networks, Gerri has transformed global businesses for more than half of her career. 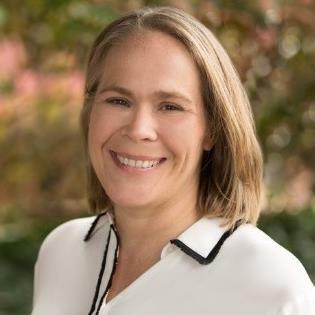 As Juniper Networks Chief Customer Officer, she led a global organizationof direct and indirect sales, systems engineering, marketing, advanced technologies, channel partners and alliances, field operations, services and support. Prior to that, Gerri was Microsoft's Corporate Vice President, WW Public Sector, where she oversawsales and marketing teams serving government, education and health care customers across more than 100 countries. She built the WW Industry Solutions Group, creating multiple industry go-to-market teams, and led Americas Enterprise, the largest geography for Microsoft. Gerri started her tech career at IBM, spending almost 22 years there in key executive and management positions in strategy development, services and consulting, product management, and sales. 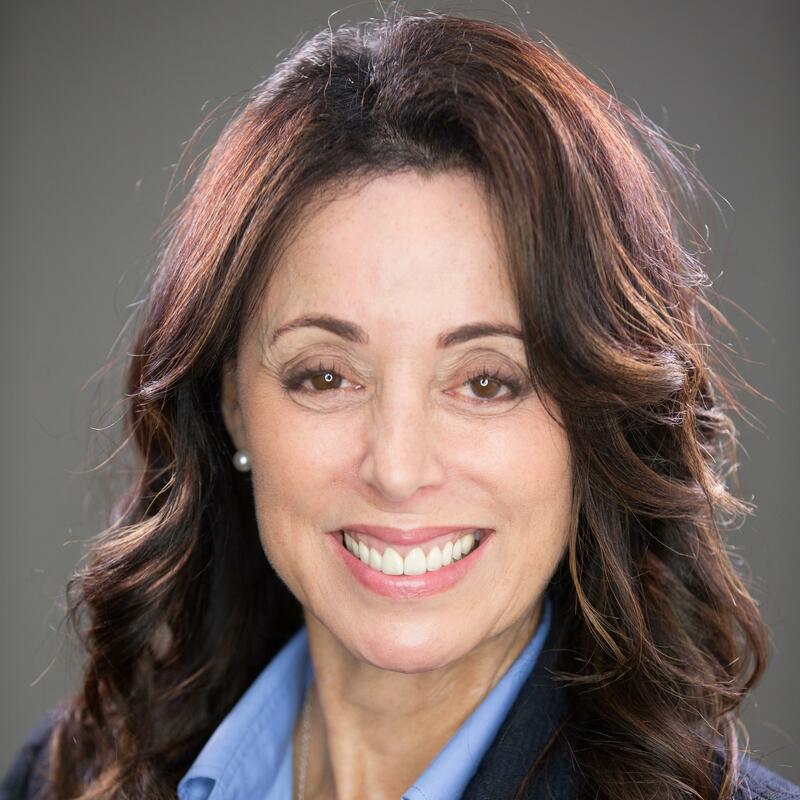 Gerri has a deep commitment and passion for creating more diversity in business and developing female leaders, and she is the Executive Sponsor for Cisco’s Connected Women employee group. Most recently, she founded Broadrooms.com, a site devoted to executive women who serve or want to serve on corporate boards. Prior to Cisco, Gerri served on several Board of Directors, including Imperva, Marvell Technologies, Mimecast and Bed Bath and Beyond. 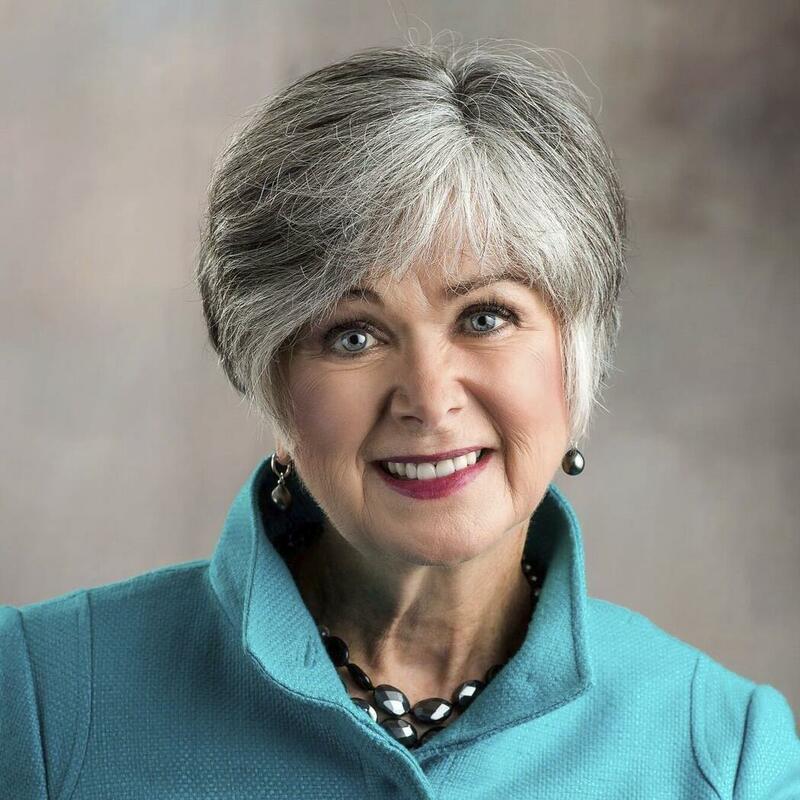 She currently serves on the Board of Directors for Whirlpool and the advisory board for the Center for Executive Women Senior Leadership Program at Northwestern University's Kellogg School of Management. Amy serves on the board of directors for Procter & Gamble, and has previously served on the boards of Cisco, Splunk and Informatica.Post-acquisition of her startup, Accompany, by Cisco, she is now leading Cisco's Collaboration business, which includes the WebEx suite of products, telepresence hardware and software, and unified communications. Accompany was a relationship intelligence platform for professionals which served Fortune 500 financial and professional services clientson their people and company data needs. Prior to Accompany, Amy was at Google, where she led the teams for Google Analytics, Website Optimizer, Trends, and multichannel attribution for over 7 years, growing Google Analytics to serveover 80% of the entire web.She previously led product for the paid search and affiliates channels at eBay, as well as worked in the semiconductor and software industries at McKinsey. 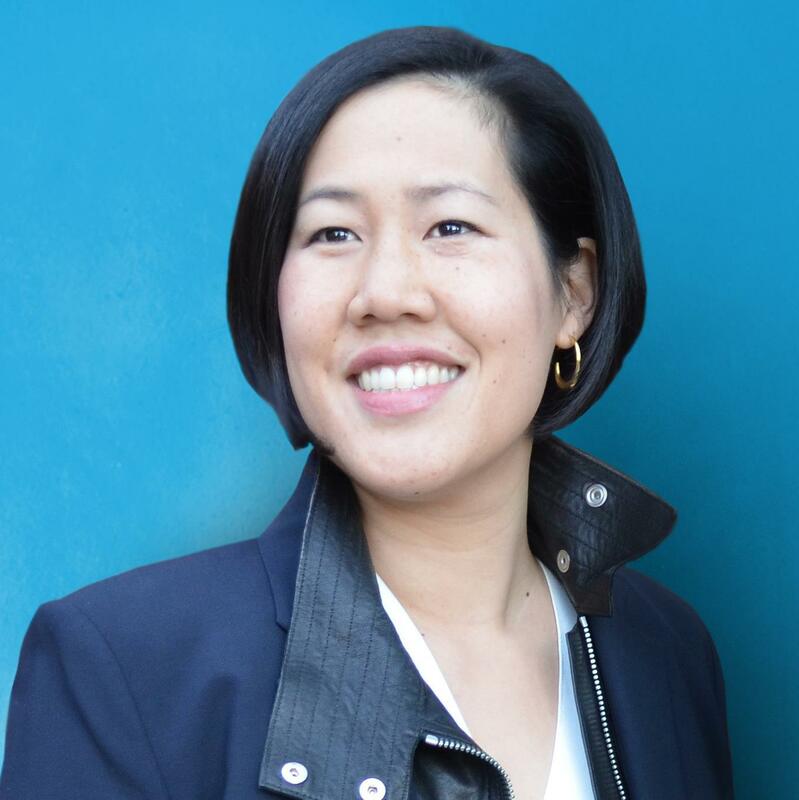 She started her career in hardware with Intel, AMD and Motorola.She serves as an advisor to Hubspot, Optimizely, BloomReach, Origami Logic and Datorama. She holds a BS in Electrical Engineering with a hardware subspecialty and an MS in Electrical Engineering with a network systems subspecialty, both from Stanford University. Kate Warren is a conversational changemaker. She founded her company, Brightlife, in the UK in 2006 and expanded to the USA in 2013. Kateenjoys creatinglearning experiences that are welcoming, challenging, and exhilarating.Her practical philosophy and passion for good conversation are at the core of her work.She acts as an executive coachfor senior leaders and their teams in the technology, aviation, finance and healthcare sectors. Together with her global team of coaches, Kate has worked with hundreds of leaders at Cisco since 2010. 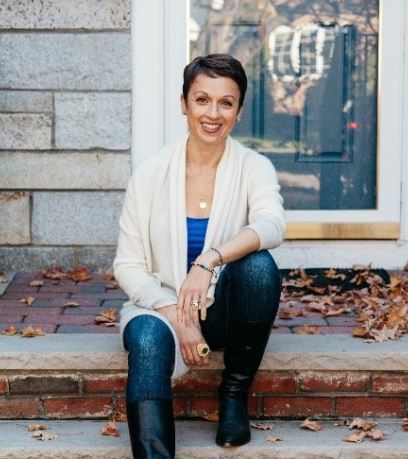 Nataly Kogan is the creator of the Happier Method™ and an entrepreneur, speaker, and author. Her mission is to help millions of people improve their emotional health by making science-backed, practical skills part of their daily life. Her new book, Happier Now: How to Stop Striving For Perfection and Embrace Everyday Moments (Even the Difficult Ones), was published in May, 2018. At 13, Kogan fled the former Soviet Union with her family and and came to the US as a refugee. Starting her journey in the projects outside of Detroit, Kogan reached the highest levels of corporate success at McKinsey and Microsoft, and at 26 became a managing director in venture capital. But she was burned out from juggling non-stop work and family responsibilities and felt unfulfilled. Her journey to find meaningful, lasting happiness and discovery of scientific research on emotional well-being led her to found Happier. Happier’s award winning mobile application, Happier @ Work training programs, and online courses, have helped more than a million people live their best life. Kogan is a sought out keynote and TEDx speaker and has been featured in hundreds of media outlets, including The New York Times, The Wall Street Journal, and many others. Kogan is also a self-taught abstract artist, a devoted yogi, and lover of all things striped. But what brings her the greatest joy is spending time with her family, including her husband Avi and daughter Mia. Together they live outside of Boston, although Kogan will always be a New Yorker at heart. 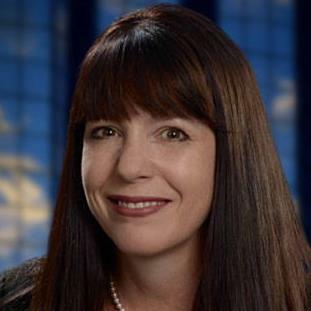 Shari Slate is the Chief Inclusion and Collaboration Officer at Cisco. Her organization is responsible for leading Cisco’s Office of Inclusion and Collaboration, as well as global Community Relations. Slate has been widely recognized for her visionary leadership and transformational views on the business value created at the intersection of diversity, inclusion, collaboration and technology. Guided by her thought leadership in this area, Cisco is embracing new models of inclusion and collaboration to fuel innovation, accelerate market leadership, and reimagine workplace practices in the digital era. In her previous role, Slate served as Chief Inclusion and Collaboration Strategist for Cisco’s sales organization. She was responsible for making inclusion relevant in the revenue generating arm of the business and incubating new strategies for fostering full spectrum diversity. Slate joined Cisco in 2010. Prior to that, she served as Chief Diversity Officer and Director of Global Community Affairs at Sun Microsystems. Slate is a respected and highly regarded leader in the areas of diversity and inclusion. 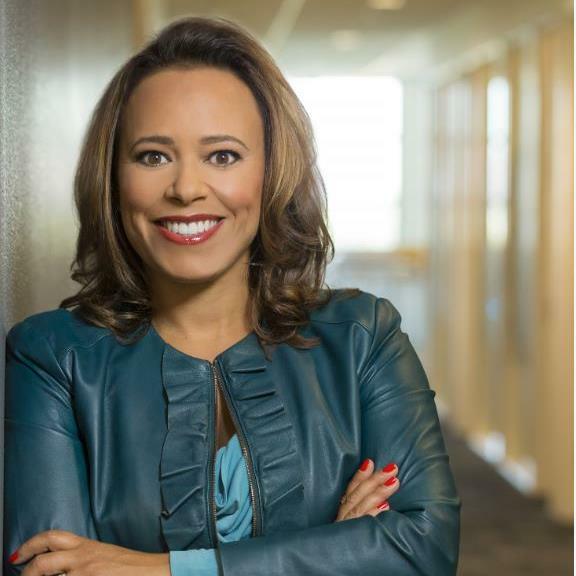 Most recently, she was named a 2018 Top Executive in Corporate Diversity by Black Enterprise, and a 2017 Diversity Leader by Profiles in Diversity Journal. In 2016, she was named as one of the Top Influential Women in Corporate America by Savoy Magazine. In 2014, the YWCA named her a “Tribute to Women in Industry” honoree. In 2013, she was named one of Diversity Woman Magazine’s “Stars Who Mean Business”. Previously, she was honored by the California Diversity Council as one of the “Most Influential Women in California” and a “Woman Worth Watching” by Diversity Journal Magazine. She received the National Coalition of 100 Black Women 2010 Corporate Leader Award and The Network Journal's "40 Under Forty" Achievement Award. Slate holds a Bachelor of Arts degree in political, legal, and economic analysis from Mills College. 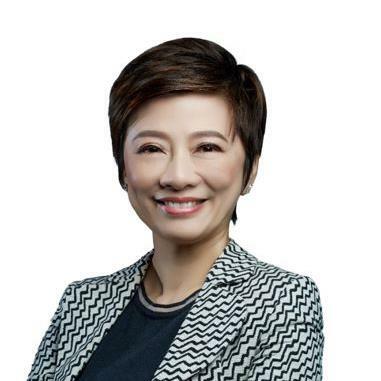 As Chief Executive Officer of Cisco Greater China, Hera Siu is responsible for developing strategy and accelerating business growth for the region. Hera joined Cisco in November 2016 as Chief Operating Officer (COO). She was instrumental in making sure that the Greater China Sales organization had the appropriate operational controls, staffing structure, and technologies to support the planning and innovation needed to strengthen and grow our business in the region. Hera possesses more than 30 years of management experience, with a profound understanding of outcome-based solutions and emerging business models. 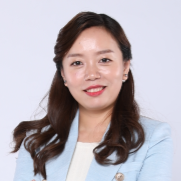 She has held senior leadership positions spearheading growth and transformation in international renowned companies such as Pearson, SAP, Nokia, Computer Associates and Pacific Century Cyberworks (PCCW) / Hongkong Telecom. Hera spent eight years working in the United States with Northern Telecom and Sierra Pacific Power Company before returning to China. She possesses a strong background in international business and has an in-depth understanding of the challenges customers and partners face in the region's dynamic business environment. Reputed for her professional leadership and a constant aspiration to inspire, Hera was selected as one of the Annual Leaders of the Chinese Information Industry (2011) and listed on the 50 Most Powerful Women, Fortune Global in the same year. 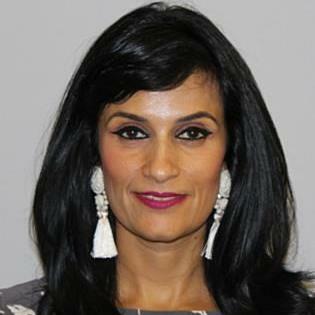 Hera holds an MBA degree and a bachelor of science in finance degree from the University of Nevada, Reno. She is fluent in English, Mandarin, and Cantonese. She lives in Beijing with her husband and has two daughters. She has a discerning culinary palate and prides herself on being a foodie who enjoys cooking as her pastime. Vicki Batka took on the role of Managing Director of the APJ Partner Organization in August 2016, leading a team that collaborates with more than 10,000 partners across the region. 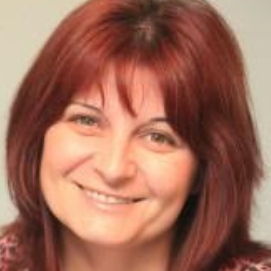 Vicki joined Cisco in November 2015 to run the APJ Data Center business. During Vicki’s 30 year career in IT, she has spent 28 years focused on channels and has held senior positions in management, sales and marketing for SAP, VMware, CA Technologies, Adobe, Toshiba and Network Associates. Aruna is a published author, executive, and expert in DevOps and Digital Transformation. She appears regularly in major media and is in high demand as a keynote speaker. She co-chairs DevOpsExpo for Syscon Media and plays an active role in leading the agenda for DevOps Expo every year. Aruna is also an independent blogger for the Forbes Technology Council, a private invite-only group hosted by Forbes magazine. 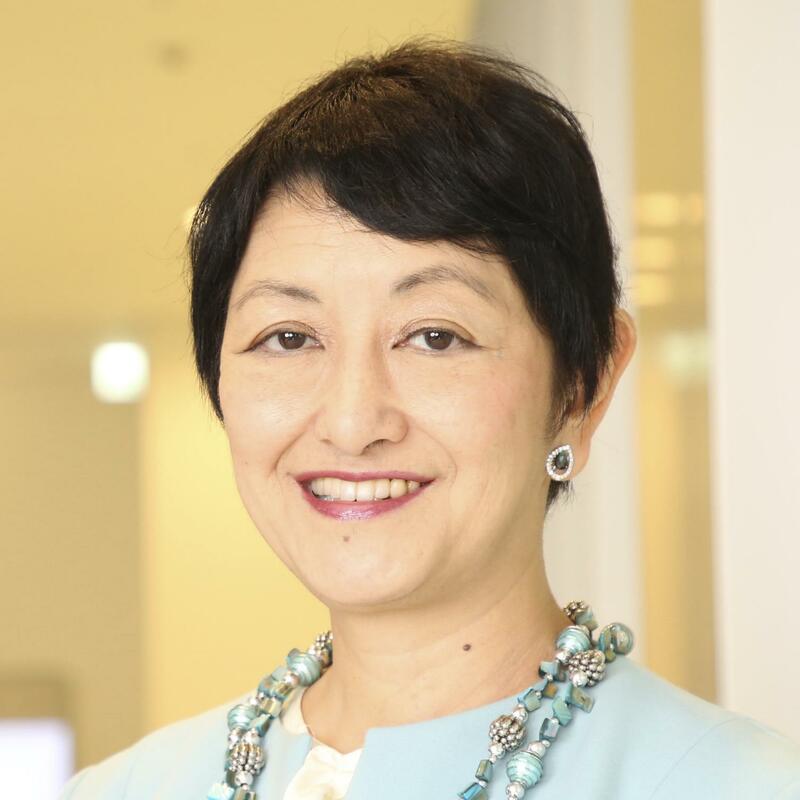 Miyuki Suzuki is President for Cisco Asia Pacific, Japan and Greater China (APJC). In this role, she is responsible for developing Cisco's strategy, accelerating business growth, and ensuring Cisco APJC is the most trusted and relevant IT solutions partner and provider in the industry. Tess Bradford is a Senior Vice President at Bank of America where she leads risk and program management initiatives for key business units. Her expertise includes developing strategies for digital banking, mobile services, artificial intelligence, and social media platforms and she has held leadership positions in compliance, operational risk management, and online product innovation. 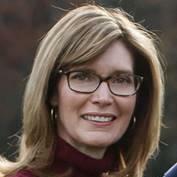 Before joining Bank of America, Tess was a consultant for EY where she was a member of the health care practice. Tess is a community leader and an advocate for STEM education for children. She is President and Co-founder of Her Spark, Inc. As President, Tess guides the overall direction of the organization and mobilizes the board, partners, resources and volunteers to execute key initiatives for the organization. Tess has presented research and related findings about social media usage to Yale University’s Center for Customer Insights. She has been a guest lecturer at Georgetown University’s McDonough School of Business and at Rutgers University. In her spare time, she enjoys traveling and spending time with her husband and two daughters. Harninder Bassi is the Director of Strategy and Planning for Americas Security for the Global Security Sales Organization (GSSO) for Cisco Inc. She is responsible for operationalizing the Go to Market Strategy and Organizational Planning for Americas Security Sales team that are responsible for both product and services security ($2bn+). She is focused on the annual planning cycle, execution of strategic initiatives and providing business insights to influence strategic investments & direction for Americas Security to produce greater return and top line growth. Harninder has been with Cisco Systems since 1999. Harninder has held various Finance, Operations and Strategy roles and worked her way through Service Provider, Commercial, Distribution, Channels and now Security. Prior to joining Cisco Systems Harninder has held various positions at Xerox, and Symbol Technologies where she was responsible for their WW Sales Financial & Planning team. Harninder is a graduate of Aston University in UK with a BSc in Business Studies and is a member of Chartered Institute of Management Accounting (CPA). Harninder is on the board of Junior Achievement East NC chairing the education committee and enjoys giving back to her community. She resides in Cary, NC with her husband of 16years and is a soccer mom to her 11yr old son and 8yr old daughter. Christian leads the Real Estate and Facilities organization, known as Workplace Resources, at Cisco. In his 25 years with in the real estate industry, Christian has worked as an interior designer, a facility manager, and a real estate director. Over the past 15 years, he has helped transform the way people interact within the work environment and how they think of “the office” and “the lab.” Looking to the future, Christian and his team are constantly innovating to define the next generation of workplaces to drive the company’s real estate and services into a true competitive advantage in the retention and pursuit of talent. Christian holds a Bachelor of Science in Design from Cornell University. Rachelle Helton has had a dynamic background in Global Services over the last 15 years including Renewals, Customer Support, Negotiating with Suppliers, Authoring Contracts, and Business Case Analysis. She is at NetApp in Renewals where she champions Strategic Programs that deliver value to the Customer. 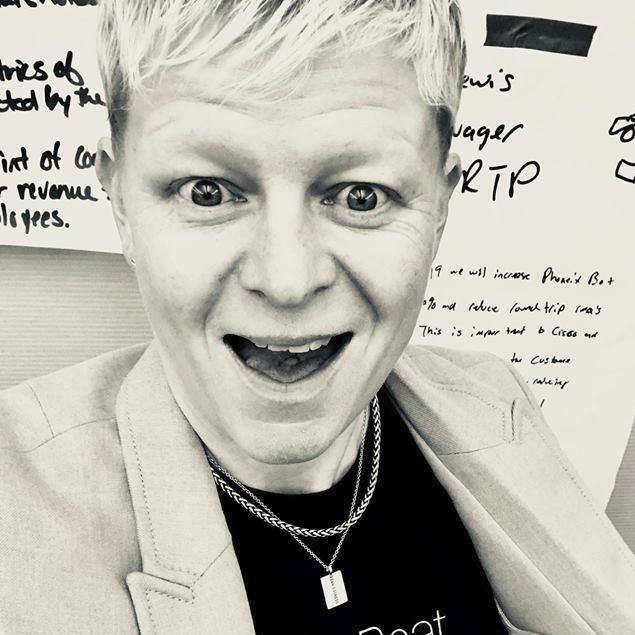 In 2017, she was a speaker at the Sourcing Interest Group (SIG) conference, which provides thought leadership to Executives in Procurement and Outsourcing.Rachelle is on the NetApp Women in Technology Steering committee where she is chair of Strategy & Operations. Rachelle has a bachelor’s degree from Ohio State University and a master’s degree from Harvard University.She actively participates in her church and resides in Cary with her husband and son. Pat Nathan, an executive with Dell Corporation, was working on an expatriate assignment in Europe when she first encountered Dress for Success. But it wasn’t until she retired a few years later and returned to her native North Carolina that she got the idea to put the organization’s mission to work in her own backyard. Ms. Nathan founded Dress for Success Triangle in 2008, and thanks to her vision and effective engagement of leading women across the region, the affiliate has become one of the strongest and fastest-growing in the country. Ruth leads Business Transformation and IT for Lenovo’s Data Center Group (DCG).Previous to Lenovo she was the CIO of the Business Intelligence & Global Head of Shared Applications for Deutsche Bank and spent eight years at NetApp where she held a number of engineering and sales leadership roles.Ruth holds a degree in Computer Science from Columbia University.Ruth is an avid endurance athlete, swim coach for the Special Olympics, and loves mentoring and building engineering cultures which embrace diversity. 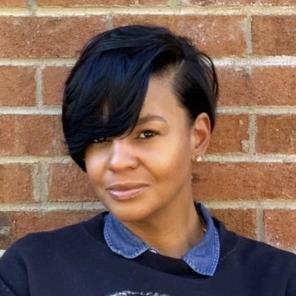 Latisha “Tish” Scarborough is currently a Cybersecurity Specialist in Virtual Sales, prior to her role transition, she worked in the Advanced Services organization as a Network Consulting Engineer for 3 ½ years, providing proactive solutions for various service provider, web, and telecommunication accounts. She holds a Bachelor of Science in International Business with a concentration in Marketing and a minor in Spanish from the University of North Carolina-Greensboro (UNCG) and a Master of Information Science focusing on Strategic Information Management from North Carolina Central University (NCCU). 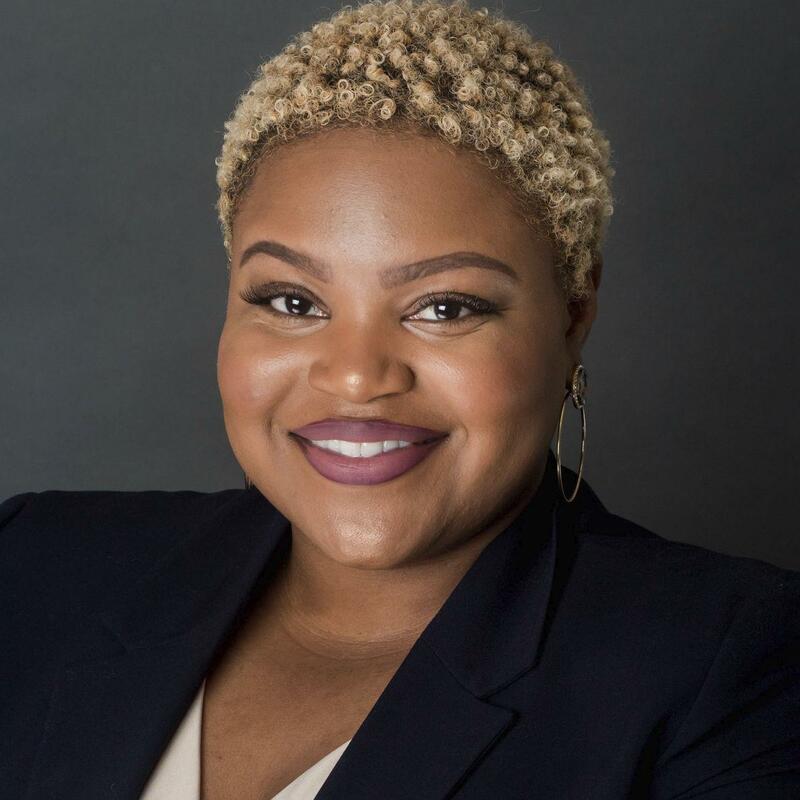 Tish has served on the board of the Black Data Process Association (BDPA) –Triangle Chapter, where she served as their technical curriculum and collegiate coordinator. Early in her career, Tish noticed there was a lack of women and Black women in the technology field, thus motivating her to use her platform to mentor underrepresented youth, and encourage them to be unapologetically bold, smart, and creative! Carla Wright-Jukes has over 30 years experience in the project management field, across multiple industries including banking, pharmaceutical, insurance, and most recently the federal government. As a PMO Leading Cisco’s Customer Experience organization, she is an innovative problem solver, a thoughtful and collaborative manager and an effective communicator and decision-maker.Carla is passionate about Inclusion and Diversity and approaches internal and external stakeholders in a mindful way enabling individuals and the organization to manage and leverage difference, allowing people from all backgrounds to hear and be heard, understand and be understood, to work together productively and service our highly diverse customer base. Prior to assuming her current role, Carla led the Inclusion and Collaboration (I&C) Programs in Cisco’s Advanced Services organization. Her team was dedicated to fostering a culture that attracted, developed, motivated, rewarded and retained a diverse and inclusive workforce. Carla graduated with a BS degree in Business Management from North Carolina Central University and has also earned an MBA in Project Management from Jones International University. In addition, she has achieved the Stanford Certified Project Manager (SCPM), the Project Management Professional (PMP) credentials, Certified Business Analyst certification and is a Cisco Certified Career Advisor. Carla was raised in a military family, which allowed her to travel the world for almost 20 years.She now resides in Durham, North Carolina where she enjoys doting on her two sons, pet Laboradoodle and exercising her passion for volunteerism. Modupe is a Senior Manager leading the Supply Chain Inclusion and Collaboration Initiative. With a focus on creating a globally inclusive, diverse, and collaborative supply chain that inspires the highest degree of agility, resiliency, and innovation. She also leads an Inclusive Leadership Team delivering increased awareness of inclusion and diversity efforts both internally and externally. Prior to leading the Supply Chain Inclusion initiative, Modupe' was the Senior Marketing and Customer Innovation Engagement Manager for Cisco Supply Chain Global Logistics. She managed the organizations marketing presence both internally and externally while providing guidance on stakeholder engagement, and customer innovation events.Before exiting this role, Modupe’ co-led the launch of Cisco’s Innovation Center in Istanbul, Turkey. Throughout her 12 years with Cisco, she’s held influential roles in Services, Sales, Channels, Customer Operations and now Supply Chain. Modupe’ is recognized by her peers as a leader, connector, advisor and inclusion advocate. She was also named a “Top Angel” for Cisco’s Innovate Everywhere Challenge. 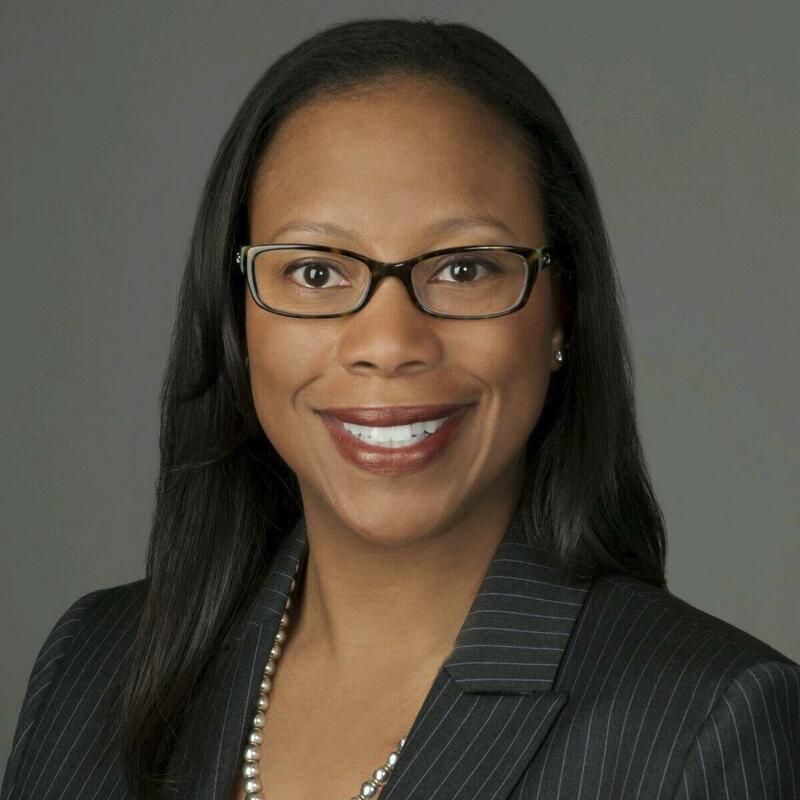 She led the Cisco Connected Black Professionals (CBP) Global Employee Resource Group for four years and has also served as the Marketing Communications lead for Connected Women-RTP chapter. Modupe’ along with the co-lead of CBP served as presidents on the first-ever Global Leadership Board and responsible for rebranding the organization. In addition to the countless leadership roles within Cisco, Modupe’ has also served as the Co-Facilitator of the Cisco Development Exchange and the Social Media Strategist for the Cisco Inclusion and Collaboration strategic partnership with the Executive Leadership Council-a prominent organization established to strengthen the African American presence in corporate America. It was during this event, where she created the Mini Innovation Challenge for the 150 Cisco African American employees in attendance. In her spare time,she enjoys spending time with her family, staying connected to technology trends through social media channels and watching movies. She holds an Executive Certification in Organization Leadership from Villanova University, a Bachelors in Mass Communications with a concentration in Communication Studies from NC Central University, Certified Change Management Professional and a host of professional certifications. 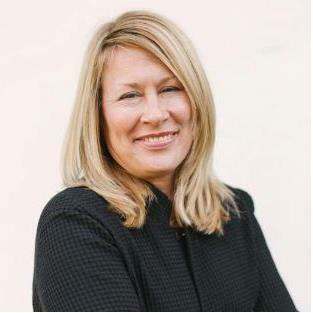 Jami is a Senior Director as Cisco, responsible for the Global HR Services organization.She partners with key HR and IT business partners to deliver, digitize and transform the employee experience for the Hire to Exit business process. This remit includes Talent Acquisition Delivery, Benefits, Rewards, Mobility, Learning and Employee Data. She has over 20 years’ experience in leadership and the IT industry. Prior to her current role, she led operations for Cisco’s Technical Support organization where she oversaw a significant portion of Cisco’s Technical Support volume and was a key contributor to Cisco’s long-term partner and technical support strategies. Her experience includes playing a key role in enhancing strategic planning processes, leading key initiatives, developing strategies to successfully scale delivery operations, and building deep business partnerships and global teams. She is also a strong advocate for talent development.A native of Seattle Washington, Jami graduated from the University of Washington. David Richards has been helping people realize greater possibilities for themselves since the early 1990’s.He has served in a variety of leadership roles throughout his career, and maintains an active and healthy lifestyle with a structured workout program and yoga.David was commissioned as an officer in the Marine Corps in 1991, and was part of the initial landing force in Somalia in support of Operation Restore Hope. While in the Marines, he provided mentoring and coaching to junior marines as well as his peers and seniors. He joined Cisco in September 2006 as a Delivery Manager in Public Sector.He is currently a senior manager in Customer Experience.David has a Bachelor’s degree from Penn State University, two Masters degrees from Marine Corps University and is currently attending Mastery University by Tony Robbins. His recently published book, Whiskey and Yoga: Find Your Purpose is a #1 international bestseller. 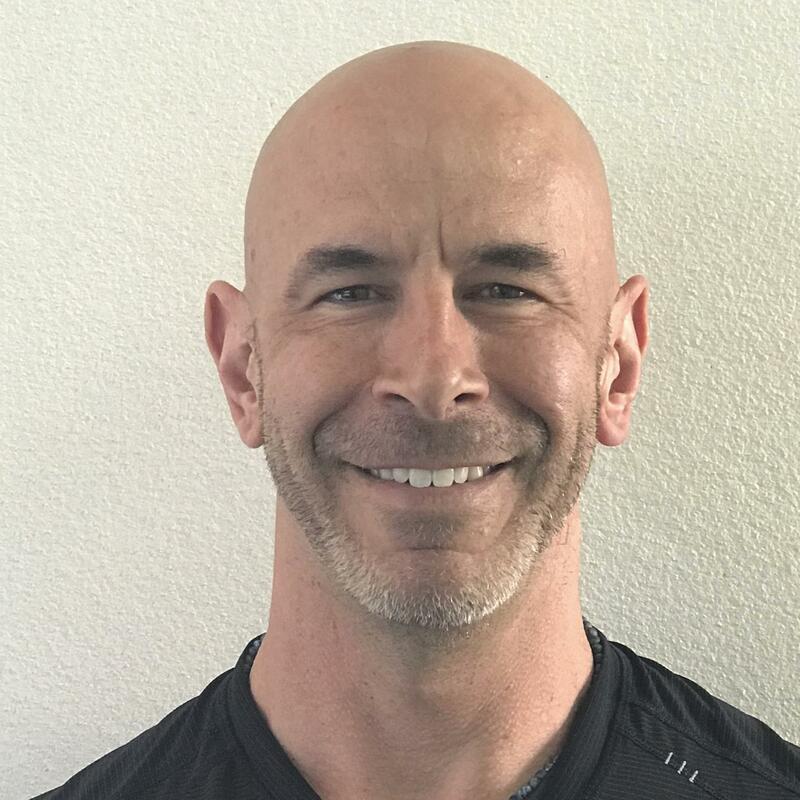 David is a Certified Professional Coach, and has been a certified yoga instructor since 2007. In my day job, I partner with internal stakeholders to ensure our employees have exceptional learning experiences. I wear many hats here and within the community, including being an Our People Deal Culture Ambassador, Certified Cisco Design Thinker, a CDAN ERO Co-Lead, volunteer and facilitator for Foundation of the World’s PACT Program –Haiti, a repeat St. Baldrick’s shavee, and more. I am a New England Patriots fan, music and book lover. I have a ridiculous shoe collection that just keeps growing. Oh...and my deepest passion is helping others. 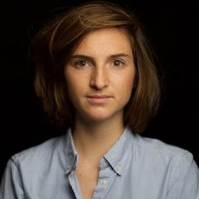 Joséphine Goube is CEO of Techfugees. Launched in 2015 in London and now present in twenty-five cities around the world, this organization brings together various tech players around events aimed at fostering refugee empowerment. In all, more than 20,000 people are part of the community, and a dozen new offices are being opened.Graduate of Sciences Po and the London School of Economics, Joséphine has already created an incubator for social entrepreneurs and a first startup also for refugees, Migreat. Among her new projects, she is building a new network for refugee women.She is also an expert at the European Commission for Immigration Affairs.Nominated as one of the top “30 under 30 Social Entrepreneurs” by Forbes in 2016, 2017 and 2018, in 2017 she was honoured as “Digital Women” of the year in France. She is an EEAS (European External Action Service) official, previously working as political advisor to the Political Director in the EEAS and as deputy Head of the Election and Democracy Division of the EEAS. She has previously worked as a member of the High Representative's private office, as well as a policy officer 'Foreign Affairs Councils' at the Policy Coordination Division and as desk officer Palestinian territories in the Directorate General for External Relations of the European Commission.Before joining the European Institution, Lora Borissova spent a number of years teaching EU law at the European Institute for Public Administration (EIPA), College of Europe, American University of Bulgaria, Ecole Nationale d’Administration (ENA), Centre for European Studies in Strasbourg (CEES), Institute for European Policy (IEP) Berlin (Germany) and others.Lora Borissova holds a Master’s degree in European Studies from the College of Europe and Maîtrise in European Law from the University of Nancy II, France.Lora Borissova has published an important number of articles on various aspects of European Law. Baroness Tanni Grey-Thompson is Britain’s greatest Paralympic athlete. She competed in five Paralympic Games, winning 11 Gold Medals, and is acknowledged as one of the most gifted and courageous sportswomen of her generation. In addition to her outstanding Paralympic achievements, she won the London Wheel chair Marathon a total of six times between 1992 and 2002.Retirement has not slowed her down and Tanni has gone on to play a prominent role in public life. In 2005 she was made ‘Dame ’Tanni Grey-Thompson DBE for her services to sport, while in 2010 she was elevated to the House of Lords as a cross bench peer.With a particular focus on sport, disability, health, welfare and youth development she has made significant contributions to debates on welfare reform, assisted dying and sports governance. Amongst other positions she is a Non-Executive Director of the BBC, Chair of ukactive, is Chancellor of Northumbria University and President of the National Council of Voluntary Organisations. She also acts as an ambassador for UNICEF, the Laureus Sport for Good Foundation and the sport for social change movement Beyond Sport.During London 2012 Tanni was a key part of the BBC’s on screen team, presenting on both the Olympics and Paralympics. In the process she became the first Paralympian to commentate on Olympic sport, making the point that the emotions and experiences of elite sportspeople are universal across the board. Tanni is the ultimate cross over between high performance sport and the high powered world of business and politics. She understands the parallels and has invaluable lessons from her varied career, be it perseverance, team work, adapting to change or breaking down barriers. Avery strong communicator,she is brilliant at motivating and inspiring an audience, whether that is a small gathering of CEOs or a large room of employees.In everything that Tanni does her lively personality and down to earth humour shines through.Only she could divulge behind the scenes stories from the Olympics and give an insight into the somewhat archaic goings on at the House of Lords! Annicken R. Day is on a mission to make work-life more engaging, meaningful and fun, because it is good for people, profit and the planet. Former VP HR& Chief Cultural Officer in TANDBERG and Culture Evangelist in Cisco, Annicken founded the company Corporate Spring in 2012. 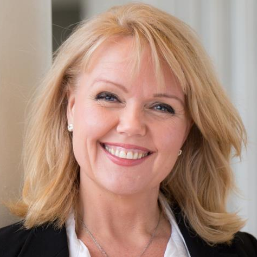 Together with her team she has trained thousands of leaders and teams around the world in how to build thriving, high performing team cultures, wired for the new world of work. Annicken is a sought-after international keynote-and TEDx speaker and co-author of the book “Creative Superpowers». She will be publishing her first novel «Fly Butterfly» in August 2019, inspired by true life events and Annicken’s own journey of making the “impossible” possible.